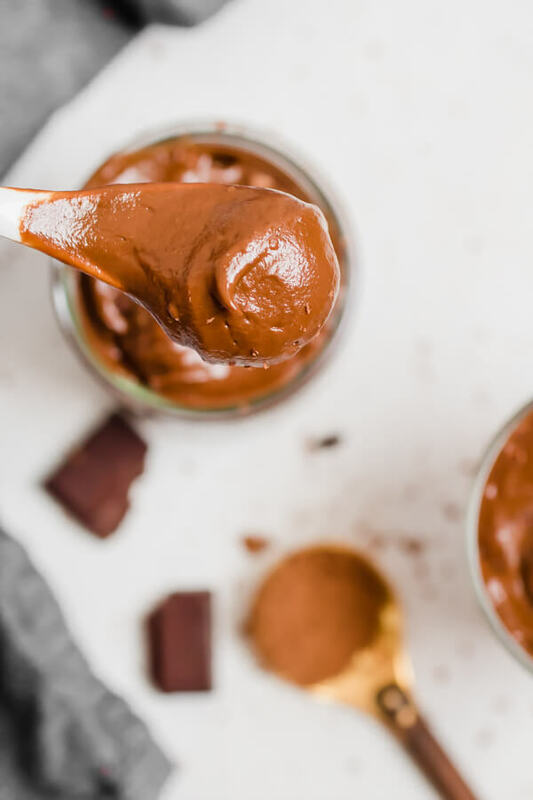 Rich and creamy Vegan chocolate avocado pudding, 4 simple wholesome ingredients and 2 minutes to make! You won’t believe how easy and decadent this healthy recipe is, kid-friendly and adult approved. 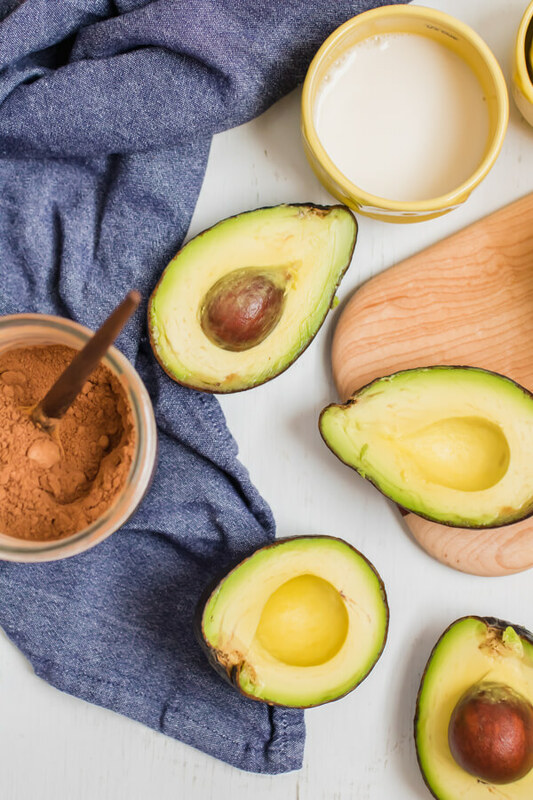 What you need for this recipe: ripe avocados, cacao or cocoa powder, maple syrup, almond milk or milk of your choice, and a pinch of salt. Do you remember the chocolate pudding of the 1980’s? 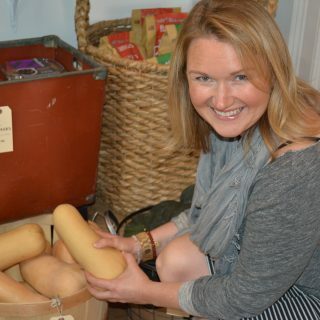 The kind Mom used to make on the stove top, pour into cute little glass tulip jars, and then place in the fridge to cool? Let me tell you how it “used” to be. Mom, would boil some concoction on the stove for about an hour (memory may not be accurate here… just go with me, K?) The whole house would subsequently smell like chocolate heaven. 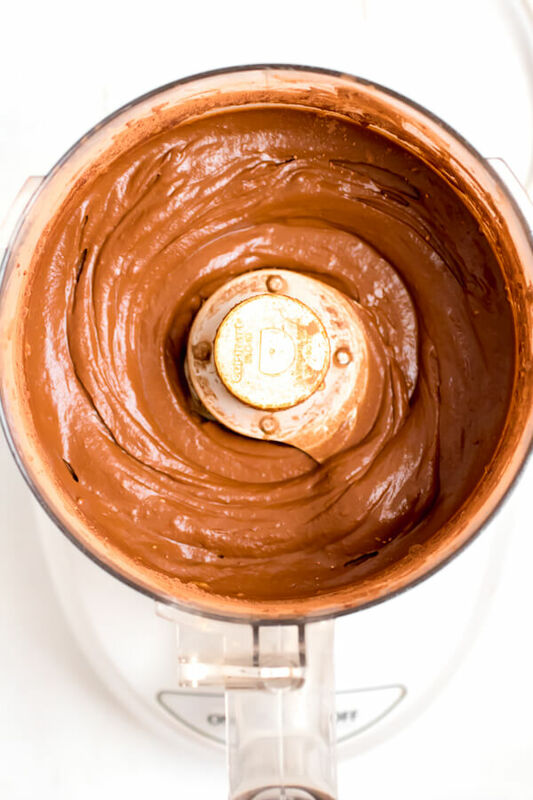 The chocolate goodness would ceremoniously be poured into jars, (6 to be exact, one for every member of my family) and placed in the fridge to cool for hours. Many hours. Hours that seemed like the longest hours in the history of the world. Hours that dragged on until my little chocolate brain couldn’t take it anymore. When the pudding was finally cool enough, we were allowed to dig in. Chocolate pudding was and still remains one of my top 5 favorite desserts (right next to lemon anything). I just make it a little differently now. First step, ripe avocado. Yes, avocado. 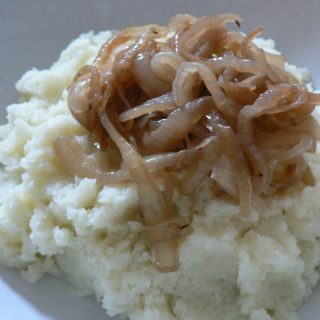 If you have never made this simple real food treat you are in for a shock. It’s outrageously rich and creamy. 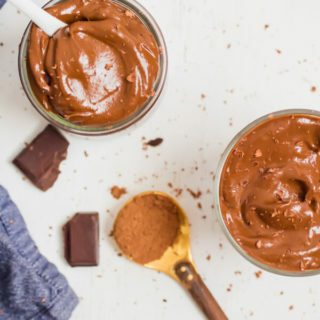 Chocolate avocado pudding is everything chocolate pudding should be, but better. Yes. Better. 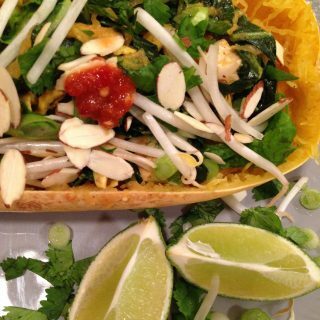 I have made this recipe for the kids in my life, for dinner parties, and I have even served it to hundreds (real number) of corporate participants during my heart health lunch and learn series. I never announce that it’s avocado, I just hand out the chocolate goodness and watch while each little cup is devoured. 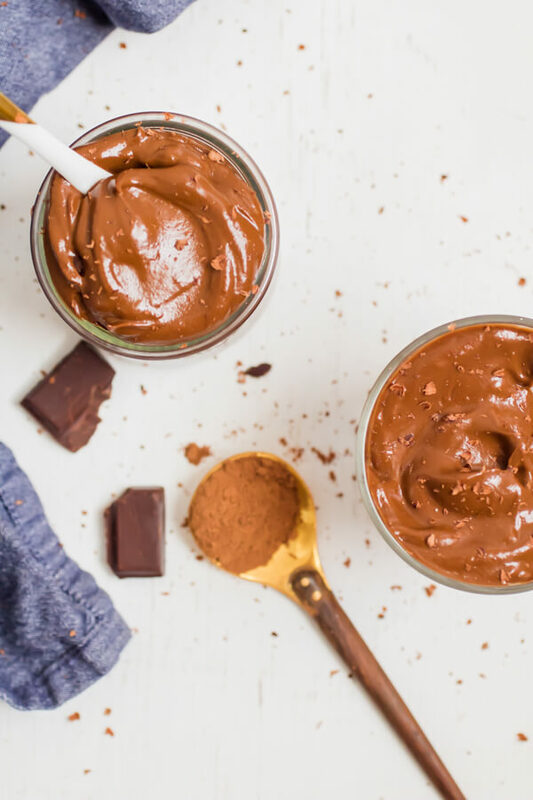 Rich and creamy chocolate avocado pudding, 4 simple wholesome ingredients and 2 minutes to make! 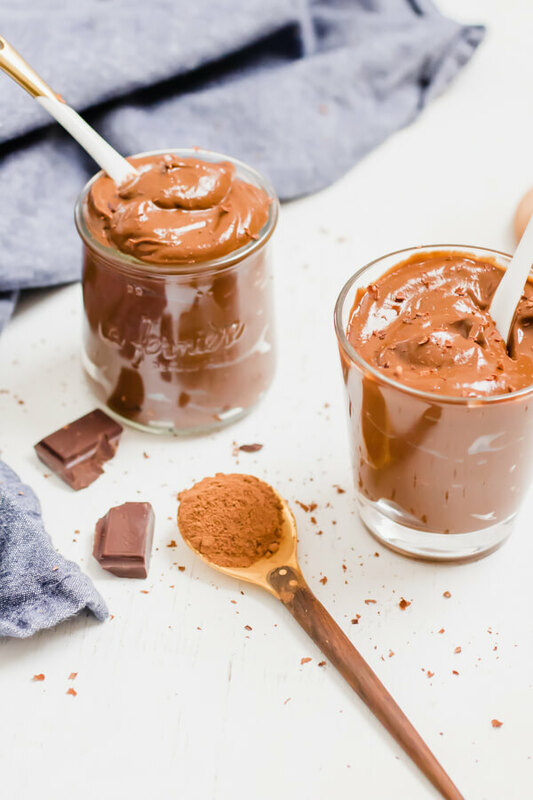 You won't believe how easy and decadent this healthy recipe is, kid-friendly and adult approved. Add all ingredients to a blender or the bowl of a food processor. Process/ blend until smooth and creamy. Taste for sweetness, if you prefer a sweeter pudding add more maple syrup.